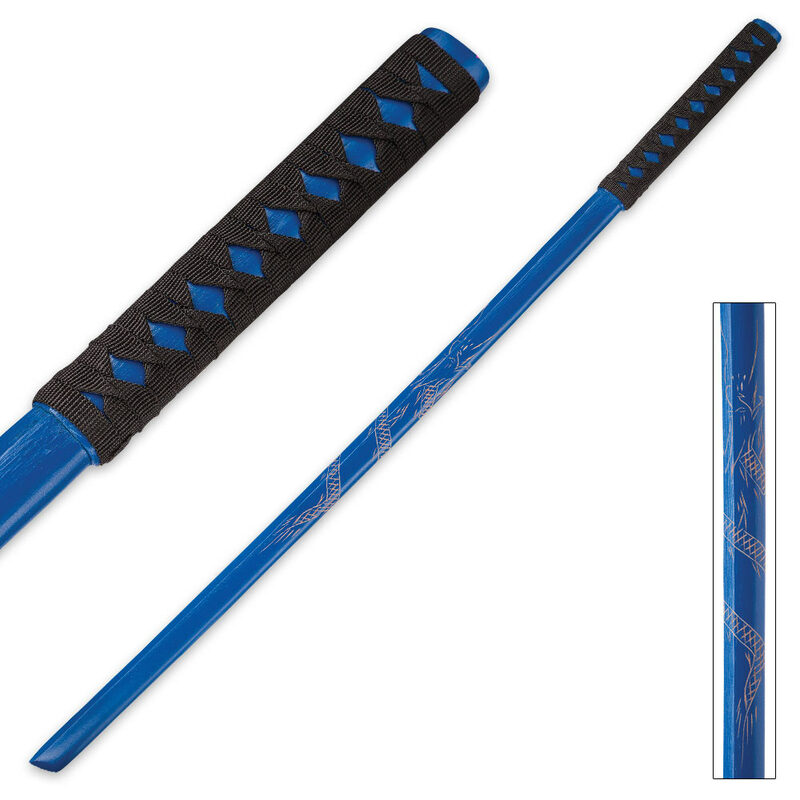 The Blue Dragon Wooden Bokken Samurai Sword is an attractive training sword perfect for martial arts competitions. It will definitely get the judge’s attention when you’re doing your competition form. It is made of strong hardwood with a blue painted finish. 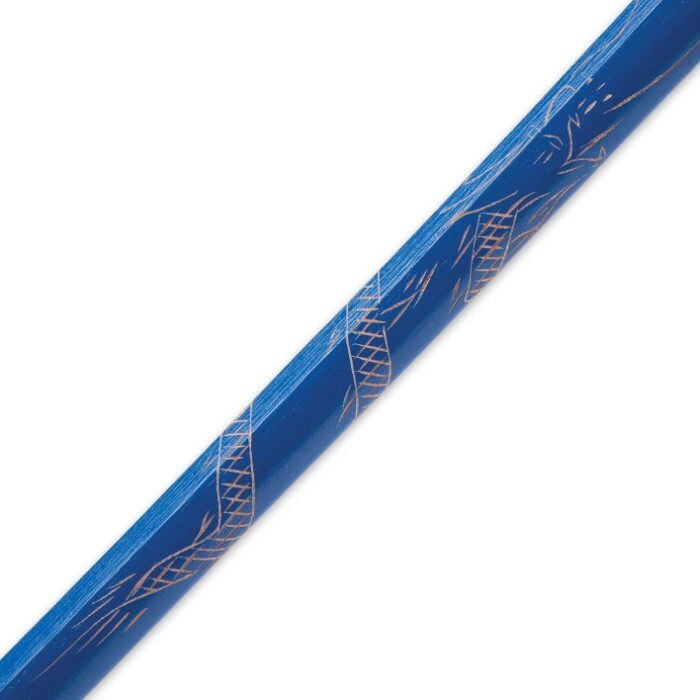 A carved dragon design and a cord-wrapped handle accents the bokken. It is 40” in length. 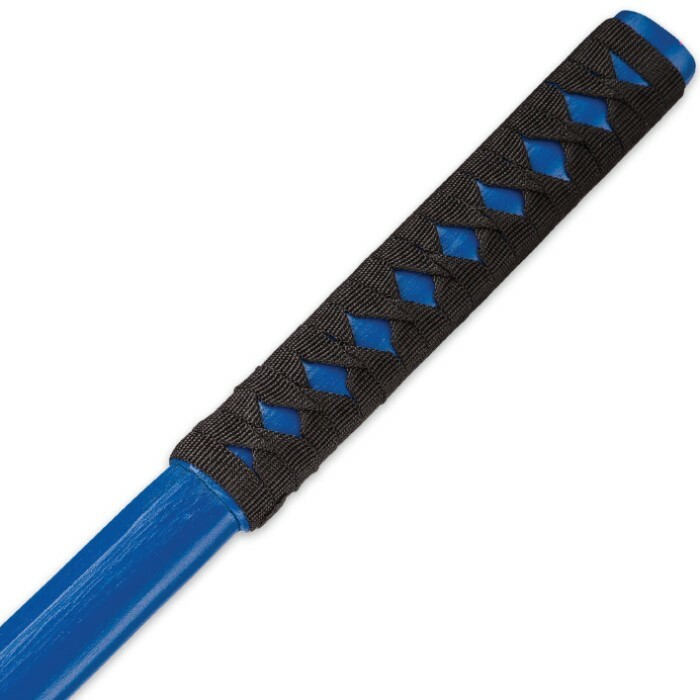 Night Watchman Impact Baton - 26"